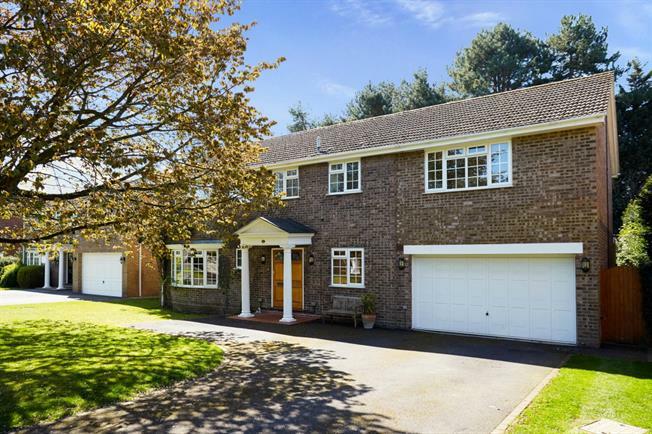 6 Bedroom Detached House To Rent in Cobham for £5,000 per Calendar Month. This detached six bedroom family home is located in the heart of Cobham, within 1.6 miles of Reeds school, 1.8 miles of ACS Cobham International School and 1.5 miles of Stoke d'Abernon railway station with services to London Waterloo in 40 minutes and Guildford in 20 minutes and within easy access to the A3 and M25 motorway. The house is well presented and offers flexible family living, with sitting room, dining room, study, family room, downstairs WC, modern kitchen/diner with separate utility room and bi-folding doors that lead to a good sized garden which includes a Jacuzzi. Upstairs there are six bedrooms, the master with en-suite and built in wardrobes and three of the bedrooms benefit from en-suite bath/shower rooms. Externally the property offers a private driveway with ample off street parking. The picturesque town of Cobham with stylish boutiques, restaurants, cafes, pubs and convenience stores making it a popular choice for families relocating to the area. Landscaped rear garden with patio area and Jacuzzi.